We just stumbled upon some photos of a yet unannounced LG handset that might be the company's next flagship. 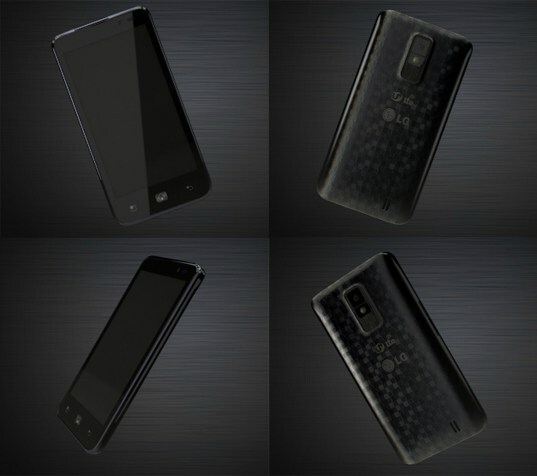 The Android smartphone is supposedly called LG LU6200 and, unfortunately, will be a South Korea-exclusive at launch. Chances are that a global version of it will appear sooner, rather than later. The LG LU6200 will, reportedly, be the first LG handset to feature a 4.5" HD screen (1280 x 720 pixels) and it will also be the first one in the world with the award-winning AH-IPS display technology. The phone will be powered by a Qualcomm Snapdragon chipset, featuring a couple of 1.5GHz Scorpion cores, 1GB of RAM and the Adreno 220 GPU. There will also be an LTE radio on board the LG LU6200 allowing for network data transfers with speeds up to 75Mbps. NFC, Bluetooth, Wi-Fi and DMB are also a part of the standard equipment (though DMB will certainly be missing outside South Korea). The highlights list continues with an 8 megapixel camera, a 1.3 megapixel front-facing snapper and a huge 1,830 mAh battery to power the whole thing. All this will be stuffed in a shell weighing just 123 grams and having a profile of just 10.5mm. Boy, this Holiday season is going to be a time for tough decisions! How to share with laptop ? Use no bluethood. How to use smart share?